Couldn’t find my hat the other day. 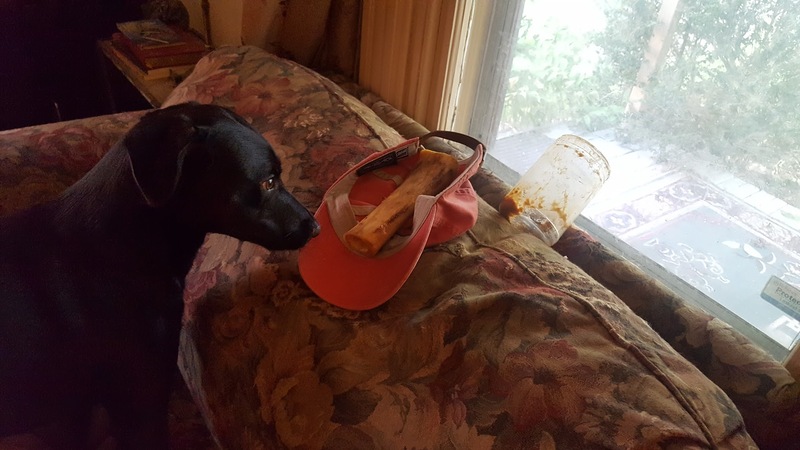 Olly was the thief, and he had other plans for it involving a bone. Found him with it like this. This entry was posted in Announcements by John "Pathfinder" Lester. Bookmark the permalink. "Safety Not Guaranteed" - If you were a Time Traveler, what Watch would you Wear?